That's the word Maury HS assistant coach Mario Phillips repeatedly said when discussing pupil KeAndre Lambert. 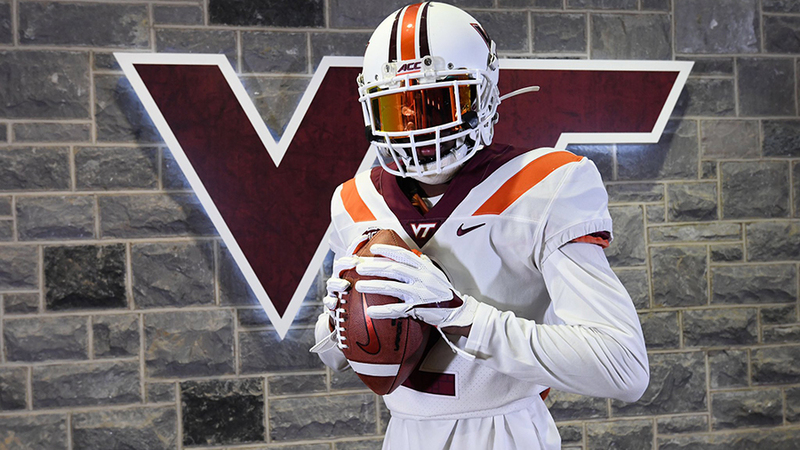 The 6'1" 167 pound top 2020 Hokies target is rated a 4-star (0.9282) wide receiver per the 247Sports Composite. "That will to be the best...when that ball goes up in the air and he gets targeted, that will to come down with it," said Phillips. "That there makes it very difficult [to defend him], in addition with his speed and length and athletic ability. He wants to be the best and when that ball's in the air, every chance he gets he wants to go prove that." That competitive spirit has been the backbone of Lambert's stellar play. Last season as a junior he earned first team All-State Class 5 VHSL honors as well as second team ALL-USA Virginia Football Team distinction.